When is a Brain Injury a Catastrophic Brain Injury After an Auto Accident? Have you been in an automobile accident? Depending on the type and severity of the crash, you may have suffered severe injuries. The most debilitating of which involves damage to the brain. Every part of the body relies on the brain for executive function, so these types of injuries are not anything to take lightly. Without a doubt, these types of injuries are often chaotic and distressing. Catastrophic brain injuries can significantly impede your ability to work due to decreased mental capacity and other major impairments. 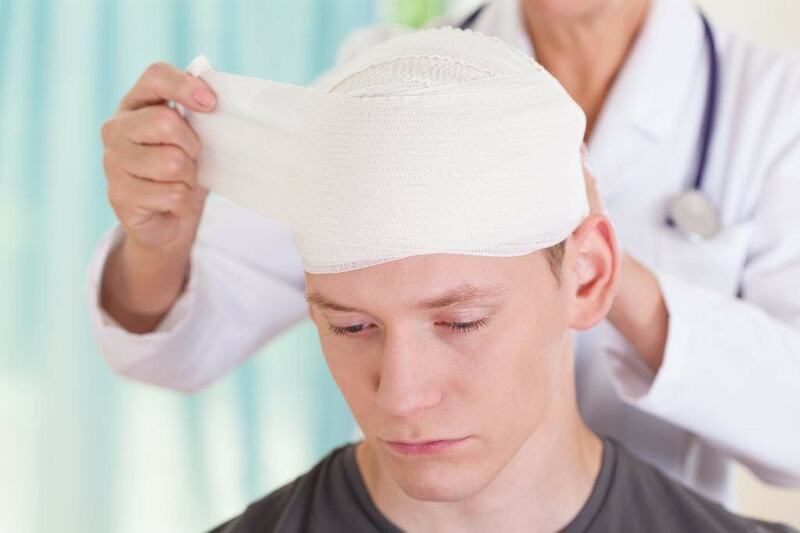 If you have been involved in a severe situation that has caused damage to your brain, do not hesitate to reach out to a Heit Law brain injury lawyer in Columbus, Ohio. A brain injury can be catastrophic brain injury for a multitude of reasons. It may cause permanent disability, lasting difficulties, and lingering symptoms. These ailments affect our ability to think, communicate and connect with others. Also, the balance may become impaired, speech may become incoherent, and coordination may lack typical function. Symptoms of brain injury include nausea, dizziness, vomiting, disorientation, confusion or extreme fatigue. More severe brain injuries may cause a comatose state, periods of unconsciousness or recurring seizures. It is evident that a brain injury is a major cause for concern. Our skulls are only a quarter of an inch thick, so the type of impact experienced determines the severity of this catastrophic injury. There are three brain layers that compose the meninges, and they are the dura mater, the arachnoid layer, and the pia mater. Doctors can determine severity and recovery options based upon the depth of layer penetration caused by the impact. There are three different scales utilized by professionals to determine the severity of a brain injury. The primary one is the Glasgow Coma Scale, which is administered to determine catastrophic severity. The other two are Post Traumatic Amnesia and Loss of Consciousness. All three of these tests deal with eye-opening, verbal and motor responses, as well as your aptitude to complete basic tasks. One of the worst types of brain injuries is the coup-contra coup scenario. The coup-contra coup occurs when two injuries result from a single blow. Significant damage occurs when shearing impact affects the ability of the axonal terminal to transmit messages from the brain to the vital organs of the body. Often, swelling or fluid buildup within the brain increases pressure upon the eye socket and can cause an optic nerve to be pinched or ruptured. Brain injuries become increasingly catastrophic when swelling and fluid pressure buildup cuts off vital circulation. These buildups cause cells to die, which may result in temporary or permanent damage. Some of the direct injuries involved deal with intracranial bleeding, cerebrospinal fluid accumulation, brainstem herniation, brain bleeding, neurotrauma, and contusion. The doctor will submit a report based on your brain trauma prognosis. A Class 4 designation involves impairment, and Class 5 represents extreme impairment. Some brain injuries may be manageable. People experience different reactions for recovery based upon the severity of the injury, quality of care and strength of their surrounding network to induce rehabilitation. Part of the recovery process should include contacting a personal injury lawyer. At Heit Law, we handle all personal injury cases on a contingency fee basis. You don’t pay attorney fees unless we win. You can reach our office by phone at 614-898-5300, toll-free from anywhere in Ohio at 877-898-HEIT (4348) or via email to schedule a free initial consultation.